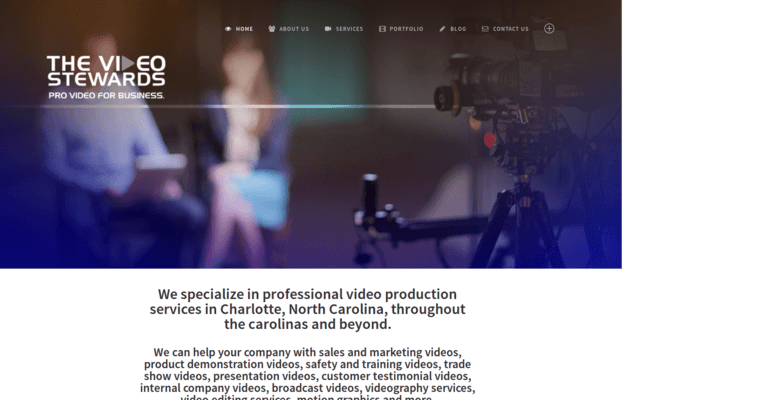 The Video Stewards is a corporate video production firm based in Carolina. Their services include support for full scale and small scale productions. No matter the size of the project, clients receive the same care and professionalism. 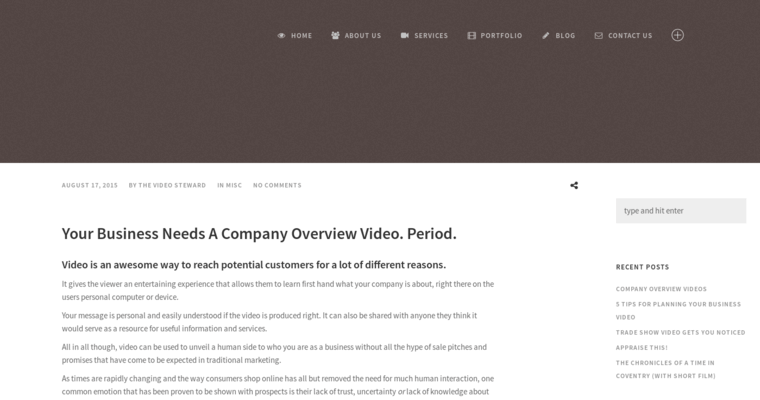 The firm is known for the high quality of its post-production and video production services. The firm provides services for businesses located in the North and South Carolina. The Video Stewards have three studios for in-studio productions. Their 2500 square foot green screen studio is in Rock Hill, South Carolina. 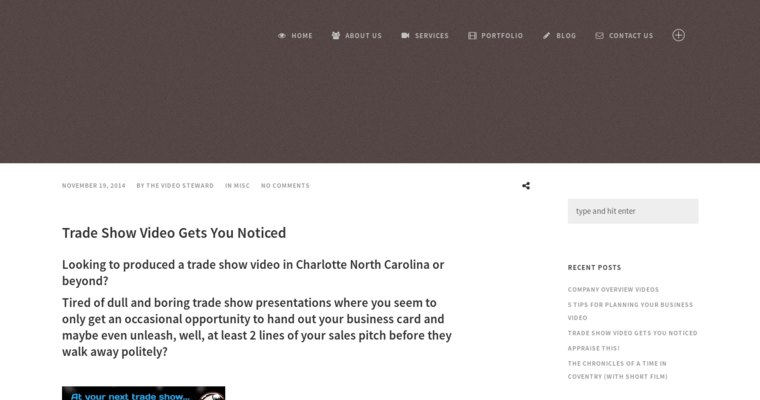 The firm also has two additional studios located in Charlotte, North Carolina. Green screen projects, on-location video shoots, and additional post-production services are available.